With a slew of shows under his belt, and an upcoming appearance at NXNE in Toronto, Arys Déjan lets loose and gives us an "intro to summer" banger. In "LYKE", Arys plays with some of Toronto's lingo, while his longtime collaborator, Roca Beats, feeds our ears with an eerie and unique soundtrack behind Arys' voice. Click here to listen up! Catch everything you need to know about Drake's new album here. When life hands you lemons... you make #Lemonade. And Beyonce's lemonade is lit as f*ck. Catch her new album exclusively on Tidal here. It is with great sadness that we announce the death of world renowned singer PRINCE. He was only 57. Collecting 7 Grammy's over the span of his career, a rolodex of hits, and a legion of fans, Prince certainly left quite the legacy to be remembered. Read more on the superstar's legacy here. With a brand new hit TV show on the table, a successful pageant under her belt, and a limitless future, Ruchika Bindra is taking the world by storm! Catch our interview withe the successful host here. He's both the talent and the management and one thing's for sure, Luciano Layne is making his way through this world with ridiculous force. Read up on him and his journey here. Meet Solomon Bullet, the 22 year old who's changing the face and sound of Richmond City here. Hailing from Emo, Ontario – Marverick Judson is one of those small town heroes on the cusp of greatness. With immense talent and absolutely no ego, Maverick Judson is the farthest thing from what you’d expect. He’s just a guy, in a red shirt, with the world at his feet. Read more of his epic journey here. Arys Déjan is back with a vengeance this month. Join him on the "OTHERside" with this dope track Prod. by his partner in crime, Roca Beats here. With over 50 Film and TV credits to her name, her own Billboard campaign, and the best dang attitude you've ever seen, JULIA FAYE WEST is a definite SKYN fave. Read up more on the brilliant and talented blonde bombshell here. She's beautiful, successful, courageous, and oh so ridiculously inspiring. Get to know our perfect 12, Simona Fusco, here. ... angel wings that is. Read up on the newest Victoria's Secret angel here. SKYN caught up with the renowned actor, singer, and Olympian to talk entertainment, motivation, and everything in between. Read up on the SKYN Exclusive here. DRAKE DROPS NEW SONG, "SUMMER SIXTEEN"
Not only did he change the name, but he made a whole list! 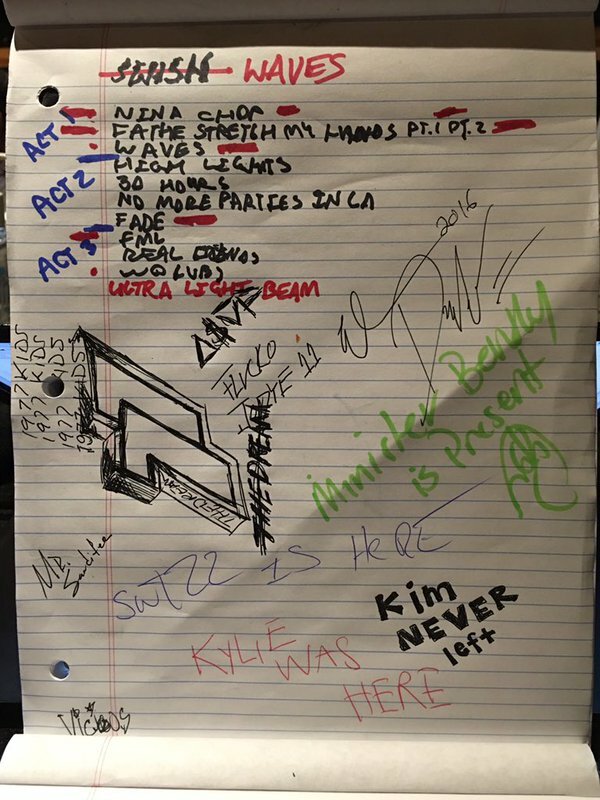 Get a sneak peak into Kanye's upcoming tracklist for his seventh solo album here. Queen RiRi is back with another airwave takeover and this time she brought The Six God along with her. Catch the newest hit track here. Read the hilarious review by Richard Veltri here. After an 18 month battle with cancer, the world lost a legend. Read more about the devastating loss here. Catch what happened when Mr. Porter interviewed "The Belgian Brando" here. Catch the new track here. Yup, that happened. Find out why here. Embrace your inner child with us here. IS 'VIEWS FROM THE 6 ON THE WAY? A New Drake Billboard Just Popped Up In Toronto, and it could be huge. Read up on it here. Director X Explains Why You Can’t Stop Watching Drake’s “Hotline Bling” Video. Read up on the surprising logic behind it here. Chex out Drake's hottest new single here.